The printing related challenges facing modern packaging are interwoven with innovation and synchronization of the individual suppliers in the supply chain. Therefore grounded know-how in the pre-press and printing area becomes ever more important as the market trends of ever-shrinking print runs, shorter delivery and manufacturing times, low cost production and greater efficiency requirements increase. 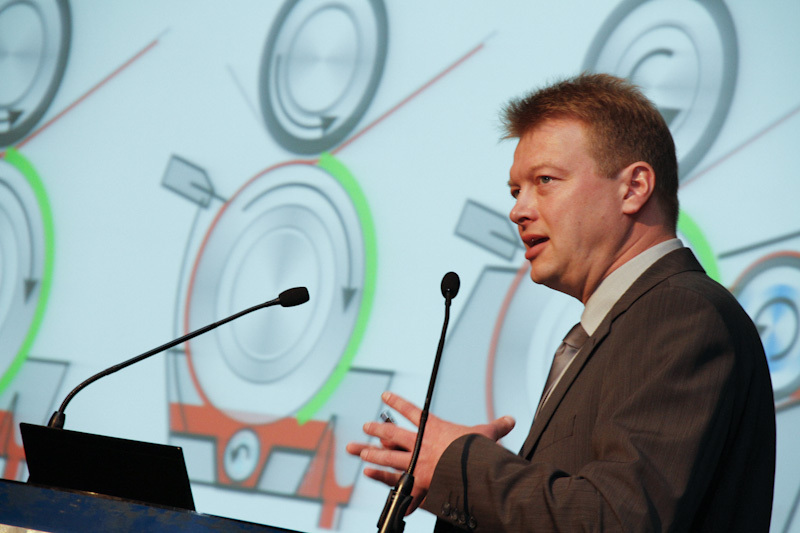 The initial “Image-to-Print” idea focusing on rotogravure was born on Drupa 2008 when industry partners have joined forces for local brand owners, retailers and business partners to catch up on facts and figures of latest technical developments and innovations. Today the “Printing Technology & Innovation Days for Flexible Packaging” give a deep insight into best practices of packaging printing and its dominant technologies rotogravure and flexographic. 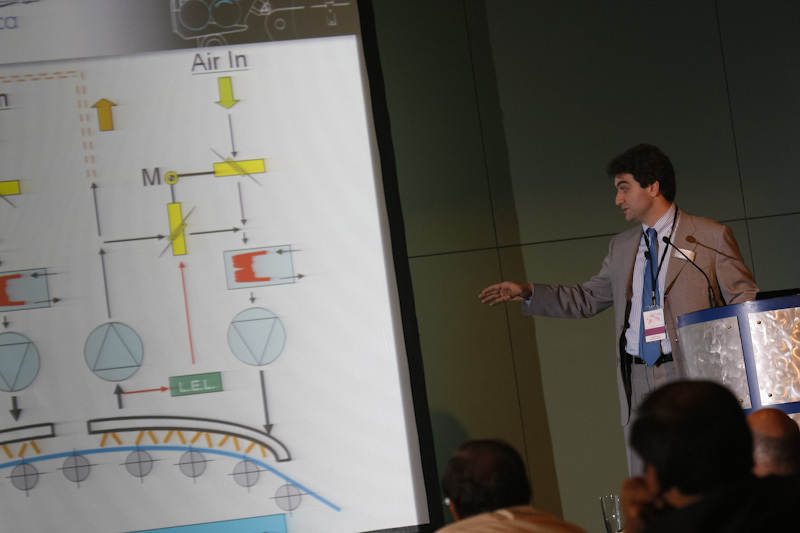 as laminating equipment, and offer a great stage for expert discussions. The local market needs and its support are of course one major issue of the conference. 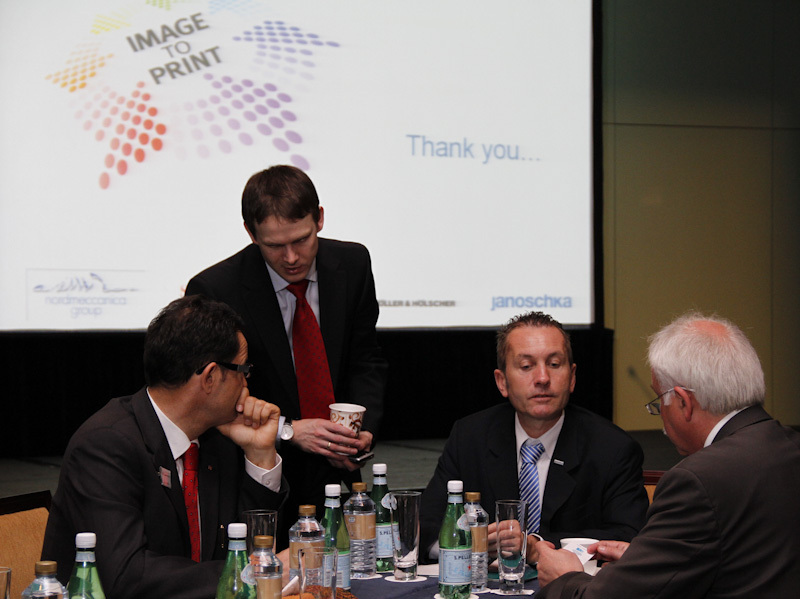 Image-to-Print roadshow had eighteen stop-overs since its start in 2009 around the globe: Russia, Malaysia, Thailand, Brazil, Argentina, Dubai, Mexico, Indonesia, China, Vietnam, Italy, Poland, Hungary, Philippines, China, South Africa and India. 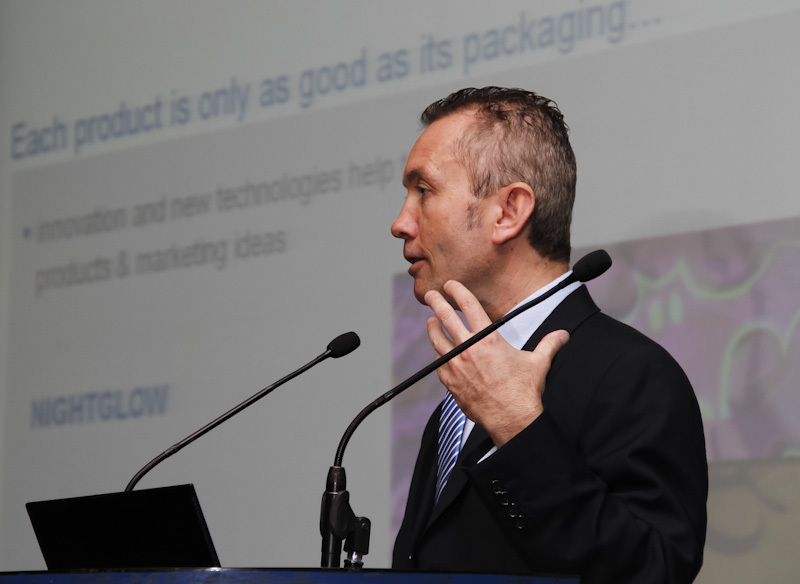 The conference provided insights into the best practices of gravure and flexographic printing and highlighted global trends in the packaging industry. Besides presentations and think tank discussions, the agenda of the conference will included a visit to PT. Siegwerk Indonesia, a leading worldwide manufacturer of printing inks for packaging. The Rajkot agenda of the two days conference included a visit to Balaji Multi-Flex, one of the leading flexible packaging producers on the Indian market. Balaji Multi-Flex granted insight into its running production on a Windmöller & Hölscher HELIOSTAR rotogravure printing press as well as the Nordmeccanica SIMPLEX lamination machines and the brand new VAREX´´ 3-layer extrusion line. 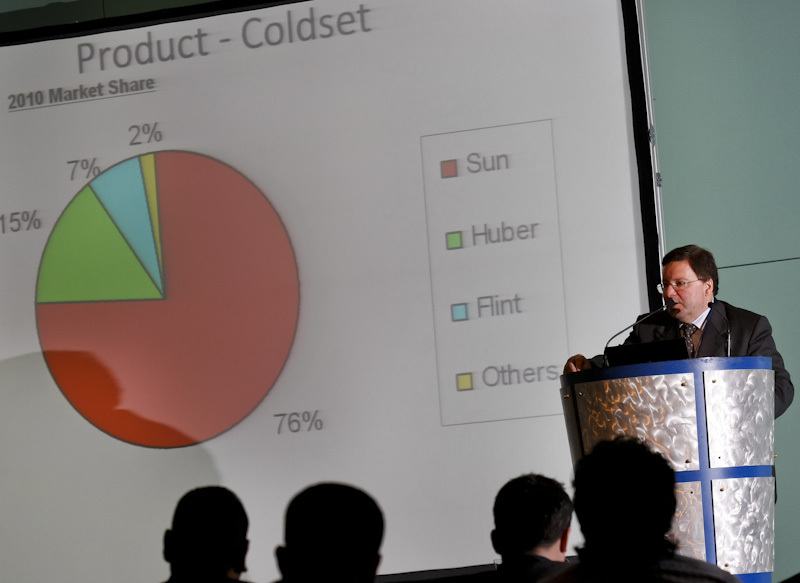 The conference provided an insight into the best practices of gravure and flexographic printing and highlighted global trends in the packaging industry. Besides presentations and think tank discussions, the agenda of the conference offered a visit to the leading printer Packaging World. Besides presentations and think tank discussions, the agenda of the conference included a visit to Asia Pacific Engravers, one of the leading manufacturer of rotogravure printing tools and prepress partner for the FMCG and Tobacco market. The newly built production site, operative since late 2016, offers state-of-the-art rotogravure cylinder production in different technologies. Besides presentations and think tank discussions, the agenda of the two day conference will also include a visit to the leading flexible packaging producer Hebei Qite Packing Co. Ltd. who will grant insight into its running production on a Windmöller & Hölscher HELIOSTAR S rotogravure press and VAREX multilayer extrusion line as well as Nordmeccanica Simplex SL 1300 laminating machine. The programme was specifically focusing on market developments, strategies and technical innovations in printing inks and printing tools as well as printing and laminating machines for gravure and flexographic applications. In addition to presentations and discussions, the program provides dedicated think-tank working groups for an individual exchange. In addition to presentations, workshops and discussions, the Programme included a visit to Plasztik-Tranzit, one of the leading flexographic printers in South-Eastern Europe, giving participants an insight into the current print production on WINDMÖLLER & HÖLSCHER MIRAFLEX machines and an OPTIMEX Extrusion Line. Part of the agenda on 27/28 November in Poland besides presentations and exchange was the visit of the Polish packaging printer Drukpol who granted the 100 participants insight into its running print production on WINDMÖLLER & HÖLSCHER MIRAFLEX AM and laminating on NORDMECCANICA DUPLEX COMBI LINEAR. Including the visit of Nordmeccanica production plant. 75 guests joined the recent stop-over in Italy. A highlight in Italy was the visit of the Nordmeccania headquarters and its shop floors. Nordmeccanica is among the leading manufacturer of packaging and laminating machines in the packaging industry, and the company visit and the life machine demonstration showed quite plainly Nordmeccanica’s outstanding competence and know-how. Including the visit of Asia Pacific Engravers Vietnam. 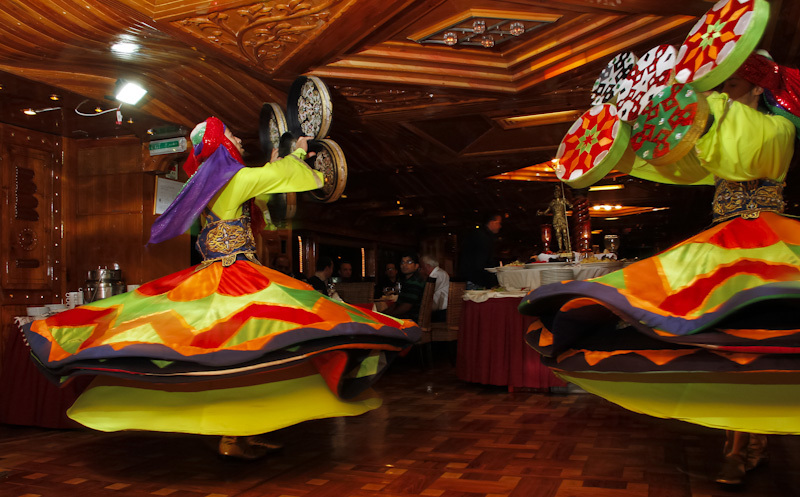 250 guests attended the event beginning of April. A highlight in Ho Chi Minh City was the visit of the Janoschka branch Asia Pacific Engravers Vietnam, one of the leading providers of prepress products and services in Vietnam, where the roadshow guests enjoyed a deep insight into modern rotogravure tool production. Including the Grand Opening of Nordmeccanica Shanghai. Nearly 250 guests attended the event in October 2012. A highlight in Shanghai was the Grand Opening of the Image-to-Print partner Nordmeccanica who was celebrating the inauguration of its new premises Nordmeccanica Machinery Shanghai. Image-to-Print and its guests were honored to be part of the ceremony and ribbon cutting. Including the visit of the printer Indokonverta Indah. Close to 200 guests from all over South East Asia attended the event in November in the Indonesian capital. 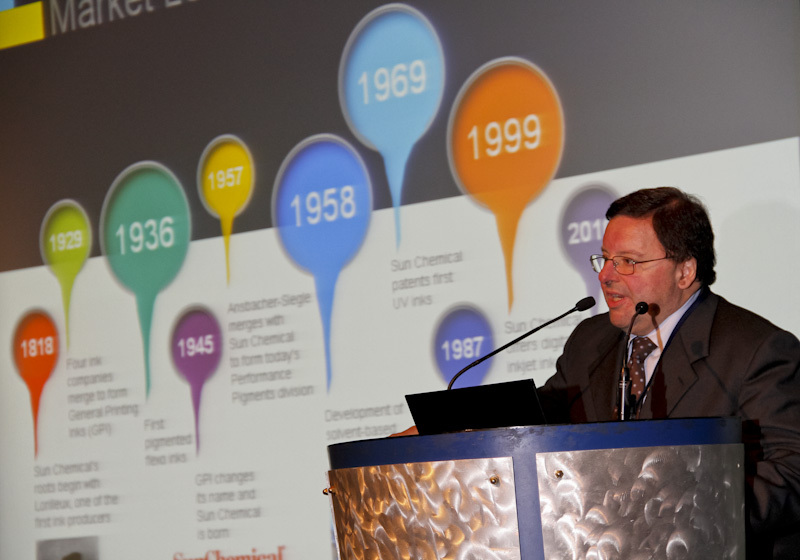 Market trends, strategies and latest technical developments in printing inks, forms and machines for rotogravure printing and laminating were presented and discussed with the experts. The visit of the local printer PT. Indokonverta Indah with a life demonstration of the HELIOSTAR® SH press of Windmöller & Hölscher was visualizing modern rotogravure printing. Including the inauguration ceremony of Janoschka México. Nearly 100 guests joined the event in Mexico City. 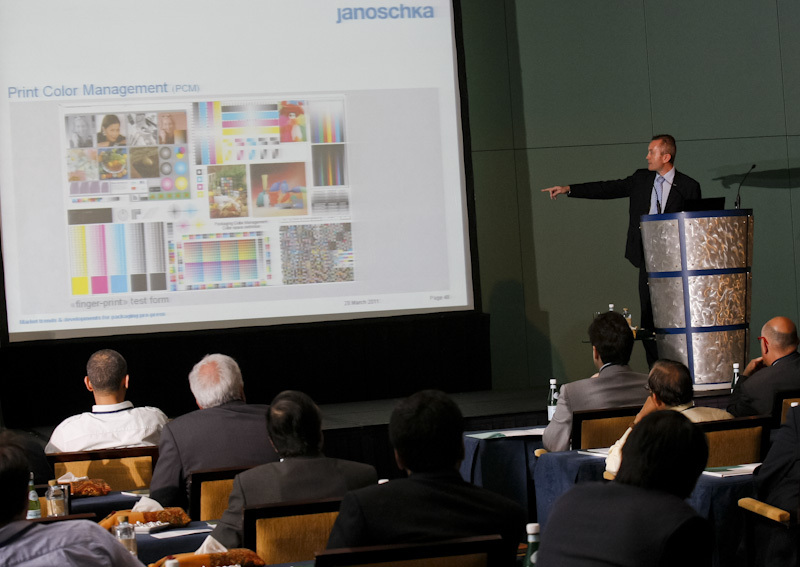 The inauguration of Janoschka México, the first American Janoschka operation, was scheduled to be combined with the seventh Image-to-Print event. Political situation to affect Image-to-Print event. After successful “Image-to-Print” events in Russia, Malaysia, Thailand, Brazil and Argentina, focusing on gravure technology for packaging printing, the Arabic market place was focussed. Although some guests were not able to join due to the influence of the political situation, there was a tremendous interest in the conference. 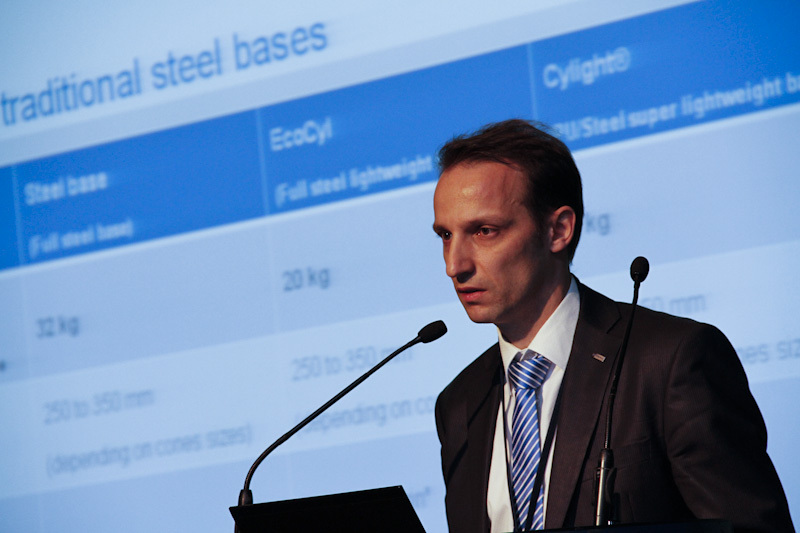 Including the visit of the Janoschka subsidiary Bosisio. 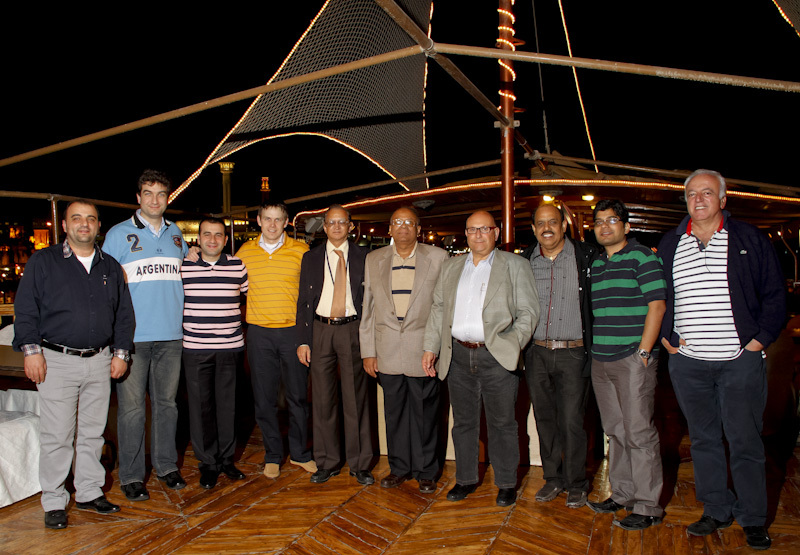 About 100 guests from all over the South American continent participated in the event in Buenos Aires. The efficiency and performance of rotogravure printing form production were proven to be in step with actual practice by the newly installed Direct Laser System on site at Bosisio, part of Janoschka and one of the leading prepress suppliers for the rotogravure printing market in South America. Including the visit of the printer Finepack. More than 100 guests followed the invitation to Sao Paulo. The visit of the local printer Finepack with life demonstration of the Heliostar® SL press visualized modern rotogravure printing. Including the visit of the local printer TPN Food Pak. With close to 100 participants the Thai event was a real success. The visit of the local printer TPN Food Pak with life demonstration of the Heliostar® GS press was the highlight visualizing modern rotogravure printing. Including the visit of APE Malaysia and Great Wall Plastic. The first Image-to-Print stop-over in Asia hosted close to 150 guests interested in professional speeches and the company tours at the printer Great Wall Plastic Industries on one side, and at the Janoschka subsidiary Asia Pacific Engravers Malaysia on the other side. The insights into the printing and prepress business were highly appreciated. Including the visit of Janoschka Pavlovsk. The first Image-to-Print conference, followed by a company tour at Janoschka Pavlovsk (Janoschka’s Russian production site for rotogravure cylinders and graphical services), hosted over 70 guests from different market players mainly from Russia and the Urkaine.